The Tesla Model S has beaten all sorts of muscle cars and supercars in drag races, proving that electric cars don’t have to be boring. But this latest matchup is something completely different. 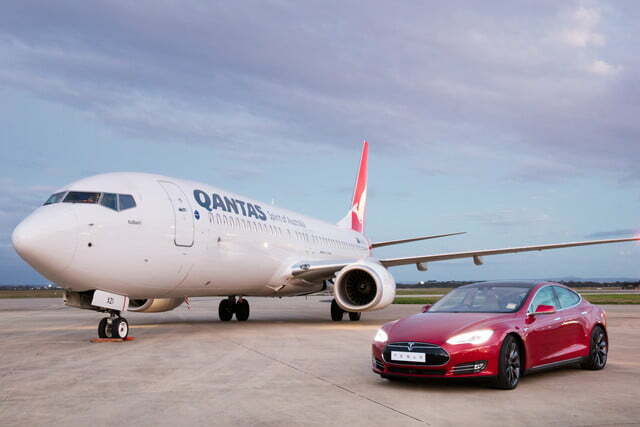 Tesla and Australian national airline Qantas are undertaking some joint promotions, so the two companies decided to pit a Model S against a Boeing 737 in a drag race. 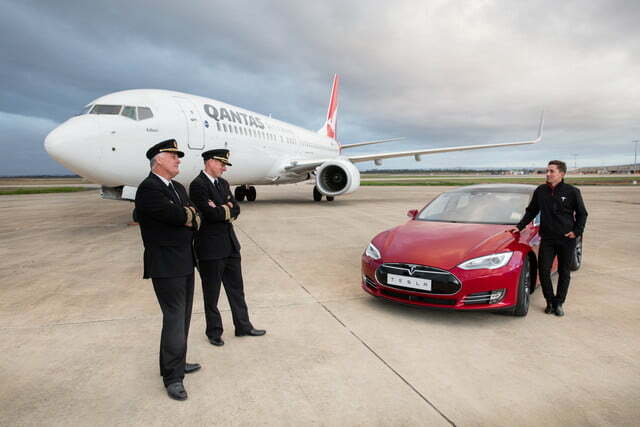 Because if you’ve got a Tesla and a jet airliner handy, what else are you going to do with them? 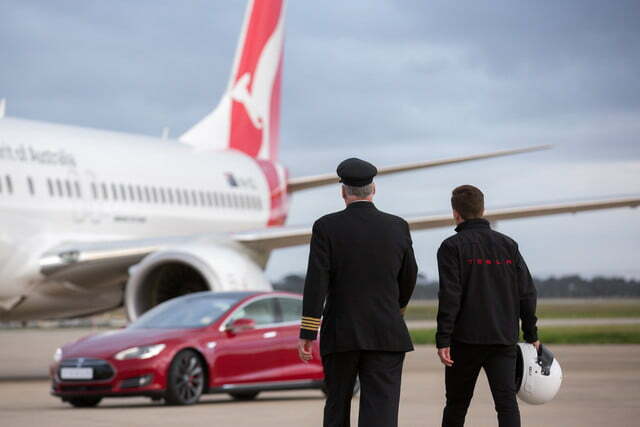 The showdown took place at Avalon Airport southwest of Melbourne, Australia. The Model S supplied by Tesla was a full-on P90D with “Ludicrous” mode, boasting a 90-kilowatt-hour battery pack, all-wheel drive, 762 horsepower, and the ability to do 0 to 60 mph in 2.8 seconds. Qantas’ 737-800 has two massive jet engines that generate 50,000 pounds of thrust. The airliner isn’t very quick off the line, but it has a cruising speed of 528 mph and can reach a top speed of Mach .82, while the Tesla tops out at 155 mph. 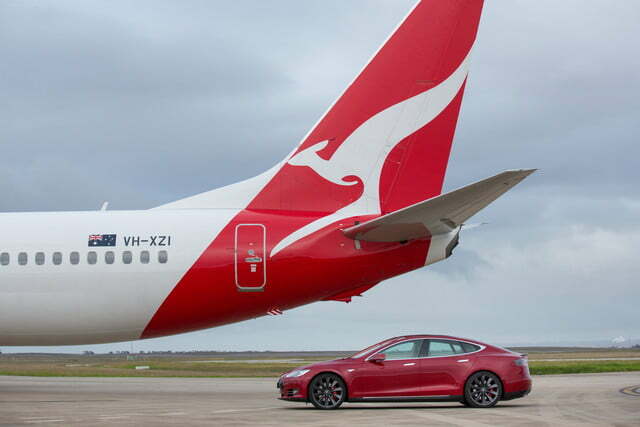 With its instantly delivered electric power, all-wheel drive grip, and substantially lower weight, the Model S had no trouble pulling away from the 737 at the start. But it was only a matter of time before the plane took the lead, and then took off. 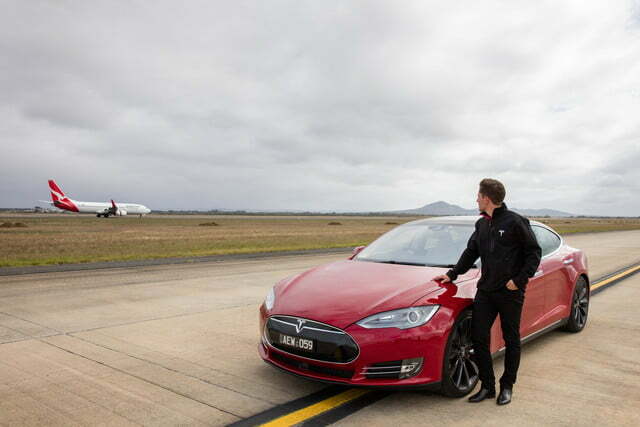 When it comes to car vs. plane drag racing, it’s all about the length of the run. The plane will almost always be faster than the car, but the car can accelerate more quickly. Jet aircraft weigh much more than cars, after all, but the incredible power of their engines overcomes that weight eventually. Even an airborne bus like the 737 can cruise at around twice the speed of the fastest production cars in the world, something that’s easily forgotten in the mind-numbing experience that is modern air travel. 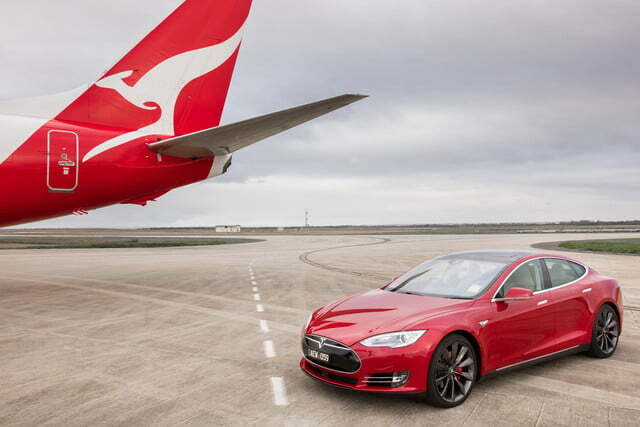 The Model S P90D, meanwhile, remains the quickest four-door car you can buy. 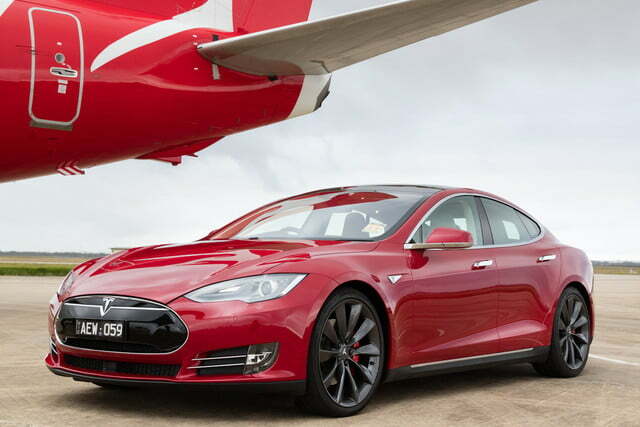 If the average airliner could accelerate with the fury of this electric car, there would be a lot more airsickness.